Entering the German market on 5th July 2010 are 4 new snuffs from Villiger, a well known Swiss company, famous for their cigars and also general importer of Cuban cigars in Europe. According to them the tobacco market is changing in Europe and offering chances for further smokeless tobacco products. I'll be interested in trying the first two, providing some store doesn't mind the dubious nature of shipping Cuban tobacco to the US. Wow, sounds awesome. Nice to see the market expand! I'd love to see more companies enter the market, and have an even greater variety of snuffs to choose from. Speaking of which, does anyone know what happened to stitch and the plans to team up with his shisha buddy to start making snuff? Cuban tobacco snuff must be great! Does anyone know where can those Braniff be bought? Ehh, it all made me craving for a good cigar. Sounds great to me. The first 2 are what I'd want to try. 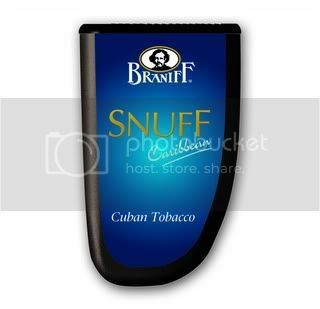 Braniff makes tasty cigars, the snuff should be quality also. When they become available this coming week, if anyone knows of a seller please post it here. I've sent off a couple of emails to different dealers, will let you know if I get a positive reply. I WANT this snuff. mmmm these look good. Please post where I can get them when someone finds out! Mmmm, I've never tried Cuban tobacco. it;s unique. Honestly I wouldn't say it's better then any other. However it's not like any other. I personaly really like cuban tobacco like a lot of people do. I don't know if you ever smoked cigars much but just like ever other place that makes cigars you can definatly tell the orgin by taste. You know like honduran or mexican or amish or dominican cigars all have a unique charector. The cuban ones are special for sure. I really think it would be an excelent snuff. I really hope they don't add scents to it that would be the best possible thing. Hey we where waiting for you to tell us. 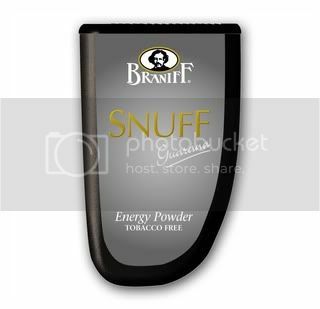 "Thank you very much for your e-mail below-mentioned and your interest in our snuff "Braniff". 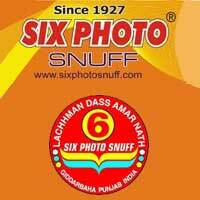 I am sorry to let you know that this snuff is not launched yet. The launch is planned for the German market only and not for Export, hence, I cannot be of help to stock your warehouse with our snuff." I noticed that you have some "different" Indian snuffs, I hope this is only a hint of what is in the future! After Taj Mahal I guess. I knew there were some Dholakias that were not available to the US. Haven´t received the Braniff Snuffs so far, but they should arrive till Friday and I´ll report then. @Red Star, did you actually order the snuff? If so, where from please? I only want the first two, not interested in the non-tobacco stuff. I emailed The Northerner but they thought I was talking about cigars, had to mail them again. No replies yet from any of the other dealers I've emailed. A friend of mine is going to Switzerland next month. 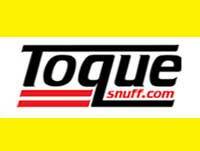 If by then we did not find this snuff, I will ask him to look out for it and buy some. I received a mail from Villigers which directed me to a local company who imports from them. I've spoken to a gentleman at this company but, as I suspected, they do not know about Braniff yet. I've now forwarded the Villigers mail to them, asking whether they can get samples for me. Their business is only 30km away from where I live. So, if need be, I will go and visit them. Might take a bit of time but...Braniff I will get!! @pieter, ridiculously these snuffs aren't available in switzerland. Well, I received a prompt reply form the National Sales Manager of the SA company. He promised to enquire about the Braniff and to keep me informed. Maybe another NTSU stunt for South Africa?!!! I´m working as executive in tobacco wholesales, so, I´m ordering -for my company- directly from Villiger. They seem to have a lot of misfortune atm. From the 13 different products I´d ordered, only 6 arrived today. I hope, the snuff is released before my vacation in August. Well, the tobacco free snuffs were really very nice surprises, as I didn´t expect anything at all. They are very pleasant and by far better than any tobacco free snuffs I´ve ever tried, well, except the Molens one, which is really very good, too. They are easy to take, not overdone in menthol and very refreshing. For those who don´t need the nic kick. Both the Whisky and the Cuban snuff are mentholized, though it´s not that obvious at the first moment. Though it´s a good thing they aren´t drenched in Menthol, I´d prefer them menthol-free, but alas, that´s just not the way they come along. They´re both good and easy to take. Maybe I´ve been expecting more from the Cuban, but that´s rather mine, than the snuff´s fault. The flavour´s resembling a veeery muted reminiscent of the Radford Premium snuff from Pöschl. For sure they´d need more than a 1 hour testing, but the Villiger representative couldn´t leave them here, as they´re still sortof prototypes. The dispensers are resembling the Alpina snuff mechanism and are very well done. Well, we have to see what those snuffs will be like when they´re finally released, but I´d say they seem like good additions to the snuff stash. Has anyone tried the Taj yet? I don't see it on the Dholakia site. MrSnuff sent out my missing Taj yesterday. It somehow got deleted from their shipping sheet, so it didn't get sent in the first package. I'll let you know in a couple days when I get it. Finally, the Braniff line of Snuffs arrived today. Awesome. Would definitely love to try the two tobacco ones. Haven't tried many German made snuffs. Could be interesting.